Given how social my daughter can be, I was leaning toward thinking she is more extroverted, but the more I read, I realize she's introverted like me and her dad. 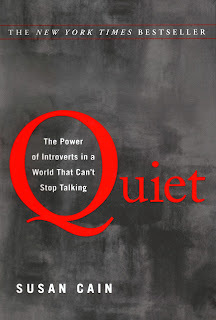 Friends wise, I think there are more introverts, but there are extroverts too. Literary Feline ... My immediate family is definitely full of introverts! For the longest time, I was certain that my daughter was going to be an extrovert, but as she gets older she definitely leans more to introversion. It's so fascinating! I do have some extroverts scattered throughout, but I would say that most of us are introverted. Literary Feline ... That would be super cool! I'm fascinated in watching my kids' personalities develop.